Eighty years ago Saturday, William Penn Adair, better known as Will Rogers, an entertainer, humorist, political commentator and writer, died in a plane crash in Alaska. A key backer of American aviation, Rogers was exploring Alaska with pilot Wiley Post, when their plane sputtered and stopped soon after takeoff and made a nosedive into a lagoon near Point Barrow. Both Rogers, the country’s “cowboy philosopher,” and Post, the one-eyed airman and the first pilot to fly solo around the world, died on impact. He was 55 years old. 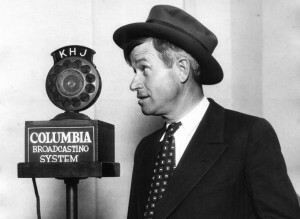 Rogers’ weekly radio broadcast, one of the first comedic political shows, had become the most listened to program in the country on Sunday evenings by 1935. Additionally, an estimated 40 million people read his “Daily Telegrams,” published by The New York Times and syndicated to hundreds of other newspapers throughout the U.S. and Canada. He was also the second highest grossing movie star, behind Shirley Temple. 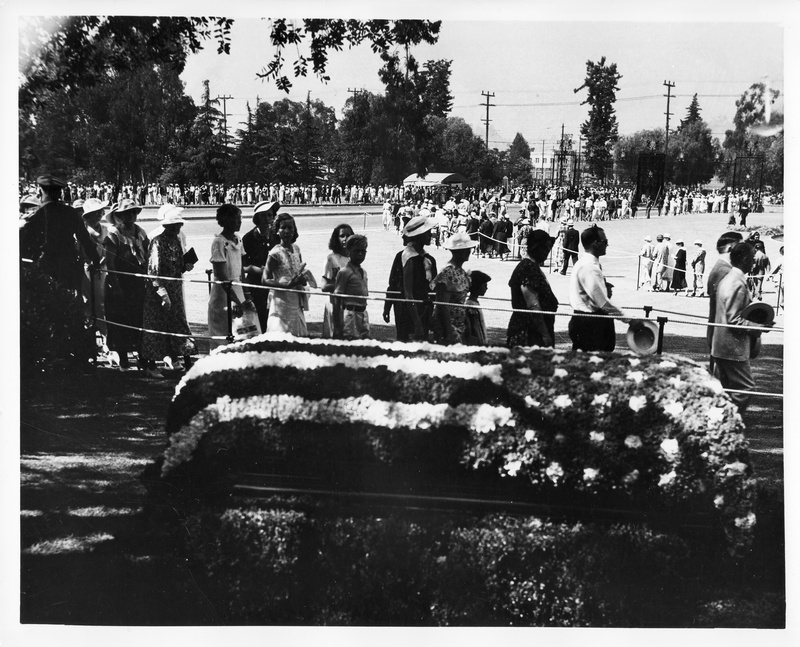 The public viewing of Rogers’ casket at Forest Lawn Cemetery in Los Angeles on Aug. 22, 1935, where 49,926 people saw the casket before it was transferred to the funeral chapel. Image courtesy of Will Rogers Memorial Museum. After his death, federal and state officials ordered flags to be flown at half-staff and the New York times dedicated 13 pages to Rogers. On August 22, nearly 50,000 people went to the Forest Lawn Cemetery in Los Angeles to see Rogers’ flower-covered casket before it was transferred to the funeral chapel. Rogers is perhaps best known for his 1931 radio broadcast “Bacon, Beans and Limousines,” in which he criticized U.S. leaders for not adequately addressing the country’s unemployed population, which was then at 7 million people. “When he gave that speech, he was there to make America feel good and give hope,” Rogers’ great granddaughter and commissioner on the Will Rogers Memorial Commission, Jennifer Rogers-Etcheverry told PBS NewsHour. “He was the one to say ‘people wake up,'” she said regarding his dismay over people who were starving throughout the country. By the age of 55, Rogers had written six books and more than 3,600 articles, according to historians at the Will Rogers Memorial Museum. He had traveled around the world three times, made 71 movies, and entered the Guinness Book of World Records for throwing three lassos at once, landing around a horse’s neck, its four legs and the horse’s rider. He wouldn’t have been able to do any of those things, Rogers-Etcheverry mentioned, without the support of his wife and manager, Betty Blake Rogers. 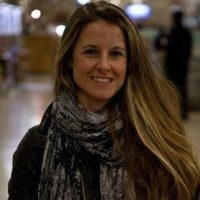 The two had four children. The youngest died shortly before his second birthday. Born in 1879 to an affluent and influential Cherokee Nation family in Oologah, Oklahoma, Rogers picked up the roping skills he used later in his “Ziegfeld Follies” vaudeville act, while working on his father’s ranch. In the beginning, his quick wit–served with a smile–was used in jokes about his ropes. However, it didn’t take long for him to turn his humor toward American society, politics, and events like World War I, Prohibition and the Great Depression. In 1926, Rogers embarked on a “Badwill Tour,” his spoof on the goodwill tours of politicians at the time. During the tour he said, “I have never met a man I didn’t like,” in reference to Marxist revolutionary Leon Trotsky, whom Rogers tried to meet while visiting the former Soviet Union, but he never got the chance. 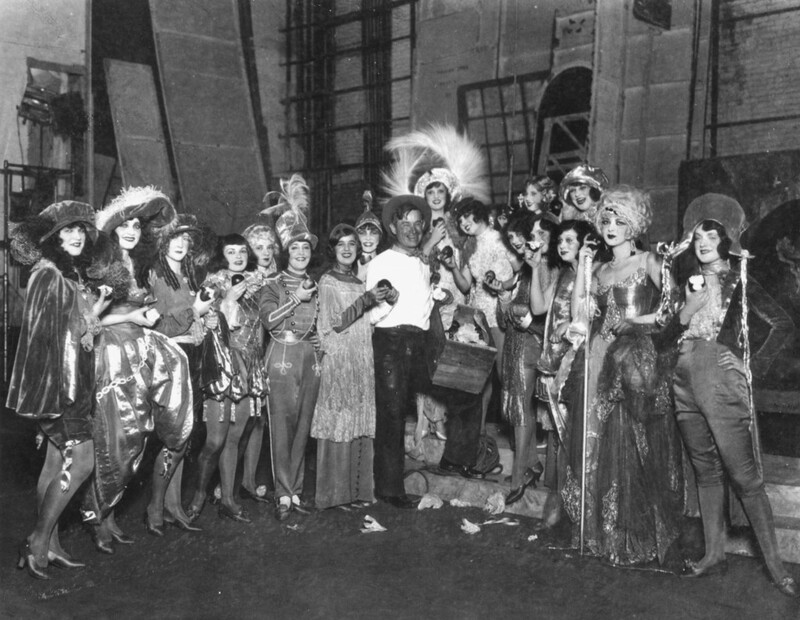 Will Rogers backstage with the 1924 “Ziegfeld Follies” cast. Image courtesy of Will Rogers Memorial Museum. The quote, one of his most famous, appeared first in the November 6, 1926-edition of the Saturday Evening Post. The sentiment became a popular adage used by him and others when referring to politicians and world dignitaries who held unpopular beliefs. Rogers often found material for his radio broadcasts and newspaper columns by observing Congress. He poked fun at those on both sides of the aisle and also had the ear President Franklin D. Roosevelt. He wasn’t simply the voice of the American conscience. In 1931, Rogers traveled 15,000 miles and raised $220,000, as part of the Red Cross relief tour of drought-stricken areas in Arkansas and his home state of Oklahoma. Today, schools, highways, an airport and a shrine to the sun in Colorado Springs, Colorado, are named after Rogers. Every year to mark the anniversary of Rogers’ death, more than 100 planes fly into a grass landing strip near his childhood home.